On Twitter, I’ve built up over 10,000 followers @HappySmartBook who are fans of my drawings and my humor. On the most part, my Twitter account is a platform for jokes and puns. Check out my Top 10 Most Retweeted Jokes. TrippyCelebs.com is a very straight-forward website: distorted, off-kilter, trippy portraits of famous celebrities. All of the drawings are done by hand using the simplest of tools: a pen on printer paper. Besides being visually interesting, they also aim to poke fun at celebrity culture.. taking the icon out of icons. 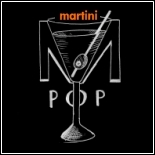 Mart iniPop.com is a collection of 99 martini-themed drawings that will be assembled into a coffee table book. Each of the drawings features an amusing representation of a historical figure, celebrity, place, or object on a martini glass. For example Abe Lincoln Martini, Martini Navratilova, or Pope John Martini II. 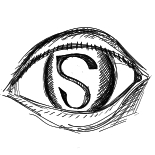 Part of the goal (besides eliciting a smile) is to represent the intended figure in the simplest way possible. This entry was posted on 2014 by Shawn Siegel in Creative and tagged drawing, happysmart, humor, satire, social commentary, website.